Well, it’s official — another change has come along to the Marriott and SPG branded card portfolios. 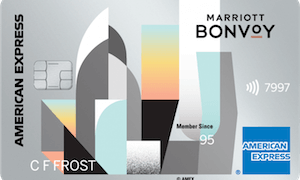 Additional details have been released by Chase and American Express about the newly rebranded loyalty program for Marriott International, known as Marriott Bonvoy, which will launch on February 13, 2019. 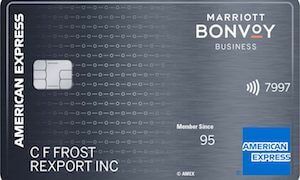 Going forward, American Express will issue Marriott branded business credit cards and luxury cards, while Chase will issue Marriott consumer cards, along with a new yet-to-be-released Marriott card expected to launch this summer. “We are looking forward to entering this exciting new chapter and continuing to bring incredible value and service to our Card Members wherever life or business takes them,” said Eva Reda, Executive Vice President, Global Cobrand Partnerships at American Express. We’ve known changes were coming but didn’t have details until today. While many of the benefits are staying the same, there are some standout changes in the works. Here’s what we can expect to change for each card. 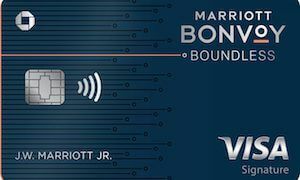 The name will change from Starwood Preferred Guest Card from American Express to Marriott Bonvoy American Express Card. 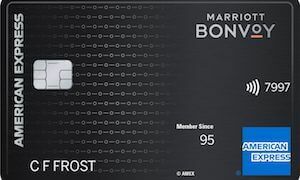 At the same time, no new applications will be accepted for this card (applications for Marriott luxury and business cards will still be accepted). If you’ve been waiting to sign up, now’s the time! Existing cardholders will be able to register to earn 25k points for every $25,000 spend on eligible purchases on the card, up to four times, earning a maximum of 100k points, based on the total amount spent on purchases from the registration date through 12/31/19. Cardholders can earn up to $100 in property credits per stay when they use a special, personalized code and their card to book stays for two nights or longer at The Ritz-Carlton or The St. Regis. The name will change from the Ritz-Carlton Rewards Card to The Ritz-Carlton Card, which isn’t a big deal since they haven’t been accepting new applications since mid-2018. $100 hotel credits used on paid stays will include Ritz-Carlton and St. Regis properties, as long as stays are two nights or longer. Existing cardmembers will receive an additional free night award to use at any property, after spending $60,000 each calendar year, with a redemption value of up to 35k points. After February 13, 2019, you’ll no longer be able to apply for the Starwood Preferred Guest Amex or Marriott Business cards, so if you've been waiting to sign up, now's the time! Disclaimer: Credit card images courtesy of card issuers. This content and the opinions expressed here are the author’s alone and have not been provided, commissioned, or endorsed by the credit card issuer. All information was accurate at the time of this post but card terms and conditions may change at any time.